Artificial Grass in San Mateo County, California. Fake Grass for San Mateo County & Beyond. There are plenty of reasons to make the switch to artificial grass in San Mateo County, California. At Watersavers Turf, we make it easy for you to find ways to enjoy and use artificial grass in San Mateo County. Think artificial grass is just a surface option for football games? Think again. In the past, it may have been mostly used for sports. That’s no longer the case. Across the world, people have found unique ways to use these types of products. 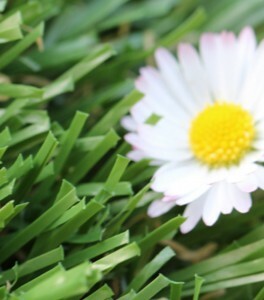 If you own a home and want to save money on lawn care, it’s a great substitute for real grass. At a concert venue, it allows for added comfort in lawn seating spots. Hotel owners have used it transform rooftops into guest lounge spaces. Towns have installed it in public parks. As the premier suppliers of artificial grass in San Mateo County, California, we have all that you’ll need to install and maintain it. We stock more than 40 styles of fake grass in San Mateo County, so you’ll be sure to find one that’s right for your goals. On top of that, we have a big selection of turf tools and accessories. To help you get a better sense of what it will cost you to install fake grass in San Mateo County, we offer free estimates at our website. You can even stop by one of our locations to pick up free 1’ x 1’ samples. 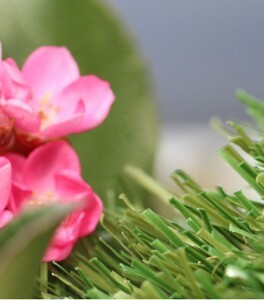 Want to learn how to install fake grass in San Mateo County? We offer free classes for contractors. We’re also the only group in the region that offers an 18-year residential use warranty (10-year commercial use warranty). Not from our part of the state? That’s not a problem at all. We’ll ship to any spot in California. In fact, we ship to any state in the Continental United States! For contractors, we ship our samples free of charge. Since there are so many uses for synthetic turf, we maintain a blog that covers all the latest news and trends in the faux grass field. We also send out a newsletter covering the many benefits these products offer to athletes and sports team owners. When you read them, you’ll get a much better sense of why you should make the switch. 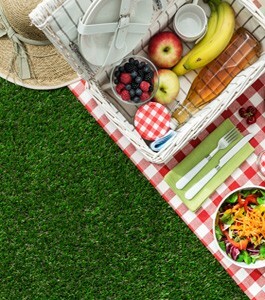 For one, fake grass doesn’t require chemicals or fertilizers to keep it green. On top of that, if you live in the SF Bay Area, the drought may have made you limit your water use. Our turf makes it easy to save water. We also sell only safe products. Ours are non-toxic and lead-free. On top of that, we never use crumb rubber infill. This material has been linked to health concerns in the past. With our turf, you never need to have those kinds of worries. Of course, this is all just the tip of the iceberg. To get a real sense of why you’d want to use our synthetic turf, keep reading! To make the switch today, call us at (844) 974-8873! The drought hit CA hard. Across the state, many are trying to find ways to limit their water usage. Doing so has always helped to keep bills low. Now, it’s clear that doing so is key to helping the planet. That’s why local leaders have decided to offer artificial grass rebates to people who make the switch. Because you never need to water these products, using them instead of real grass conserves a major resource. In spots like the East Bay Municipal Utility District, property owners can earn rebates for switching to a low water usage lawn. In other parts of the state, homeowners and business owners can get artificial grass rebates for choosing this option as their lawn surface. When you don’t need to water or mow the yard, you save a lot of money in the long run on upkeep. Now, thanks to artificial grass rebates, you can also get money back in the short term. Be sure to check our site from time to time to see if there are any offered in your part of CA. As you can see, more and more people are using these products than ever before. Whether they own a home, are involved in the design of a local park, or want to make their business have greater curb appeal, they’ve embraced fake grass. Because of this, there’s an increased demand for people who can perform artificial grass installation. If you’re looking to add artificial grass installation to your list of services, we offer free classes to get you up to speed on the process. We also have tools designed to make artificial grass installation as simple as can be. If you’re a contractor, now is the best time ever to get in on this type of work. Looking for artificial turf products within San Mateo, CA? Not in the mood to bounce from place to place to find all the tools you need? No worries. We stock a wide range of artificial turf products within San Mateo, CA. We have over 40 styles of turf in stock. Our line of artificial turf products within San Mateo, CA also includes the tools you’ll need to install and maintain it. Whether you’re installing a faux lawn or adding a putting green to a golf course, we’ve got just what you need. Don’t waste time looking everywhere for each item you must buy. We’re a one-stop-shop. To see all that we have to offer, browse our catalogue! A gorgeous green lawn is the dream of many a homeowner. The problem is, lawn care itself can be a nightmare. You have to water it. You have to mow it. You have to seed it. By the time you’ve poured all that money and effort into it, you might not even be able to truly enjoy it. That’s why it pays to make the switch to residential artificial grass in San Mateo County. When you do, landscape design becomes easy. While you may have a vision for the perfect lawn, you can’t depend on real grass to look the way you want it to all year long. Even if you have the money and time to maintain it, the weather and climate might not be on your side. If you’ve been hit by the drought, you may not be able to water it as much as you need to. Instead of settling for a yard that doesn’t match your plans, take a look at all the residential artificial grass in San Mateo County we have in stock. Even if you don’t want to replace your entire lawn, you might want to install a space where you can practice your putt. Or maybe you’d like a green area near your patio to lounge with guests. It doesn’t matter what your goals are. We’re sure to have the right residential artificial grass in San Mateo County for your plans. We don’t always notice the way the look of a business property affects how we feel about the business itself. In truth, it plays a big role. That’s one of the many reasons it makes sense to install commercial synthetic grass in San Mateo, CA. If you’re a small business owner looking to attract more customers, it’s a smart choice. Quite simply, people are drawn to a business when every visual feature of it invites them in. This includes the lawn. Whether you own a small retail store, or you have an office where clients tend to visit; you want it to look its best. Keeping it that way can be pricey, though. Trying to maintain a lawn can cut into your budget big time. With our commercial synthetic grass in San Mateo, CA, you don’t have to worry about that. You can install that lounge area without paying for upkeep throughout the year. With our Performance Series, you can be sure it will stand up to wear and tear. This makes for a great option if you run a café or small restaurant. With our products, you can create an outdoor seating spot that will allow you to serve more guests. This boosts profit without asking you to pour money into upkeep. The same goes for an outdoor mall or any retail business. People will be drawn to your property if it’s lush and clean. You could even make your workers more content on the job. Some business owners use these types of products to install green spaces where workers can relax during the day. Thus, they’re more pleased with their work space. You could invest resources into maintaining a lawn to achieve this goal. Or, you could install commercial synthetic grass in San Mateo, CA. You’ll enjoy the same effects as you would if you opted for real grass. That said, you won’t have to manage any of the drawbacks. Pet lovers know it’s important to let their furry friends get a good workout in from time to time. This means letting them play in the yard. It also means cleaning up after them. When they head back into the house, they tend to track a lot of dirt and mud in along with them. It simply makes sense that this might lead to some headaches on your part. You could make both you and your pet happy by opting to install our pet grass in San Mateo County. It’s the best option for you and your buddy. They’ll have a flat, even surface they can run around on to their heart’s content. You’ll be happy to know that our pet grass in San Mateo County is safe. It’s lead-free, it’s non-toxic, and there’s no crumb rubber infill. It also prevents your dog or cat from coming into contact with poisonous plants or harmful bugs. Our pet grass in San Mateo County also makes for a great surface for dog parks. Towns can install a park that they won’t cost a lot of money to maintain. This lets them direct tax money towards other needs. If you run a kennel, you could even build your play area. Pet owners will be more likely to become clients if they see you’ve put in a nice green space for their dogs to get needed exercise. As many know, these types of products were first put into wide use by sports teams. Today, we now know there are many, many good reasons to install artificial sports turf in San Mateo, CA. In the past, teams have found that rain can have a major impact on a season. Games get canceled, making fans upset. Practices get canceled, too. This means that players get less of a chance to hone their skills. With our line of artificial sports turf in San Mateo, CA, that isn’t a problem. It drains quickly and leaves no mud puddles which can be a safety issue. A muddy field is easy to trip on and gets torn up during a game. A plastic field surface makes injuries less likely. Safety is also increased when you install our lawn pads underneath it. This provides an extra layer of cushioning for trips and falls. Our artificial sports turf in San Mateo, CA gives young athletes the chance to see their sports dreams come true. A school is where most people first get involved in sports. If they’re good enough at it, they might even go pro. Sadly, not every school district can afford the lawn care costs involved in keeping a sports field on the premises. Using our products, they can work around these limits. As a result, more kids get a chance to achieve their goals. When it comes to artificial turf accessories and tools within San Mateo County, we can’t be beaten. We’ve got every item you might need for your project. Looking for a simple, fast way to install fake grass? The EasySeam makes binding turf seams a breeze. Looking for a way to add a little extra greenery to your outdoor walls? Boxwood panels will do the trick. Our catalogue of artificial turf accessories and tools within San Mateo County also includes items for sports lovers. Lawn pads allow for added safety, and we’ve even got golf flags! If you’re seeking out artificial turf accessories and tools within San Mateo County, you’ll be certain to find what you’re looking for with us. 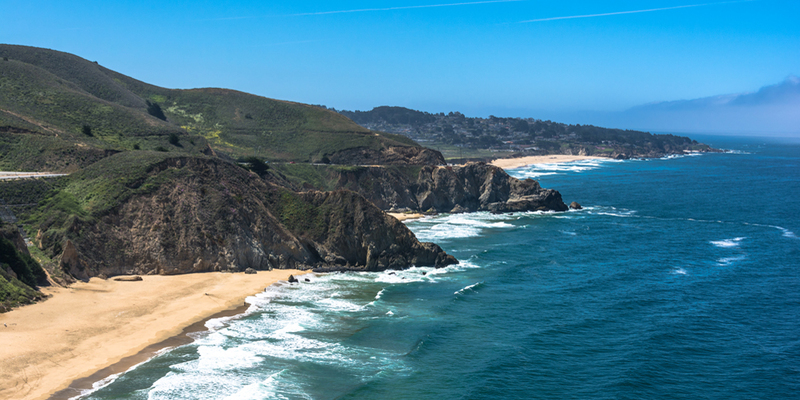 Lovers of the outdoors find plenty of things to do within San Mateo County. For instance, there’s the Coyote Point Recreation Area. Here, just about every person you know will find something fun to do. Kids can spend hours playing at the Magic Mountain Playground. If you’re into fitness, there are trails for walking or jogging. Like being out on the water? You can go fishing or boating. Or maybe you’ll just want to stroll along the beach. 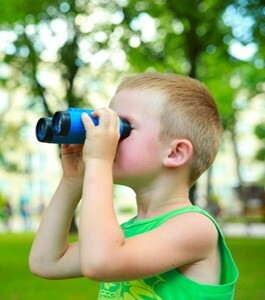 You can even take a close look at wild animals and science exhibits. In the playground portion, a rubber surface is used to keep kids safe. That said, towns across the nation have often found that fake grass is a better choice in parks. Perhaps it will soon play a key role here! Are you the type who likes to catch a live sports game? 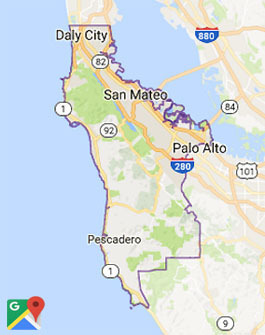 If so, you’ll always have things to do within San Mateo County thanks to the local college. Its college sports fields are top of the line. They’ve been revamped with synthetic turf, so you don’t have to worry about games getting rained out. Each year, people flock here to watch football games, baseball games, and many other matches. Thinking about starting on your own faux grass project? Thanks to Watersavers Turf, doing so is easy. Start by heading to one of our nearby locations to pick up your own 1’ x 1’ free samples. Again, if you can’t make it to us, we’ll ship them to you instead. With our free estimates, you can get a sense of how much your project will cost you. We offer 10-year commercial warranties on our products, making a choice easy for you. We’re also the only supplier in the Northern CA region to offer 18-year residential warranties. Want to learn more? Give us a call at 844-974-8873. We’re always happy to help!